Winter weather decided to make an appearance this week, and with it came icy roads, sleet, and other generally good reasons to hibernate. What better accompaniment to nasty weather than chicken soup? I had noooo wish to go to the store and face everyone panic-buying bread and milk, so I decided to go for something that was simple, comforting, and a good use of some of the random odds and ends hanging around my refrigerator and freezer. After poking my head in there, I was pleasantly reminded of almost two containers of leftover rice from Chinese food and some lemons I’d zested for a recipe but not juiced. This of course, screamed avgolemono soup. 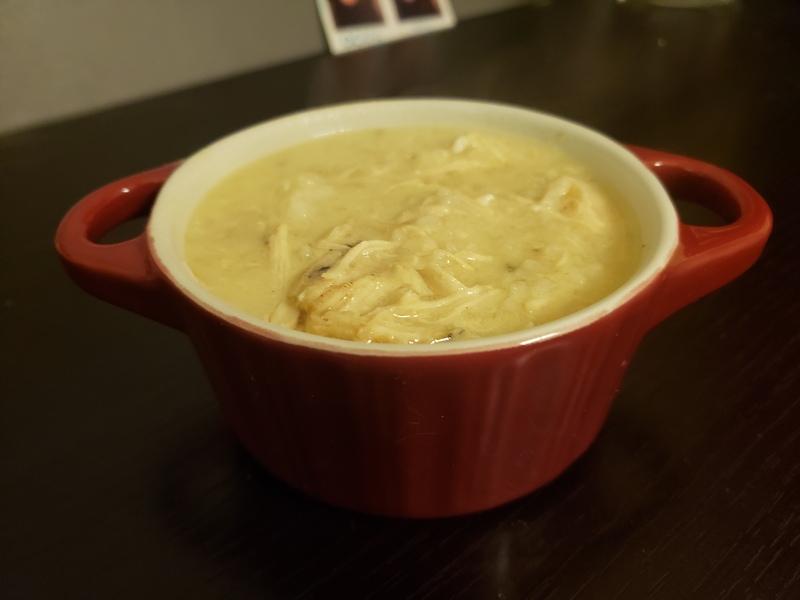 Avgolemono (egg and lemon) is a delicious Greek chicken soup that sort of reminds me of stracciatella. 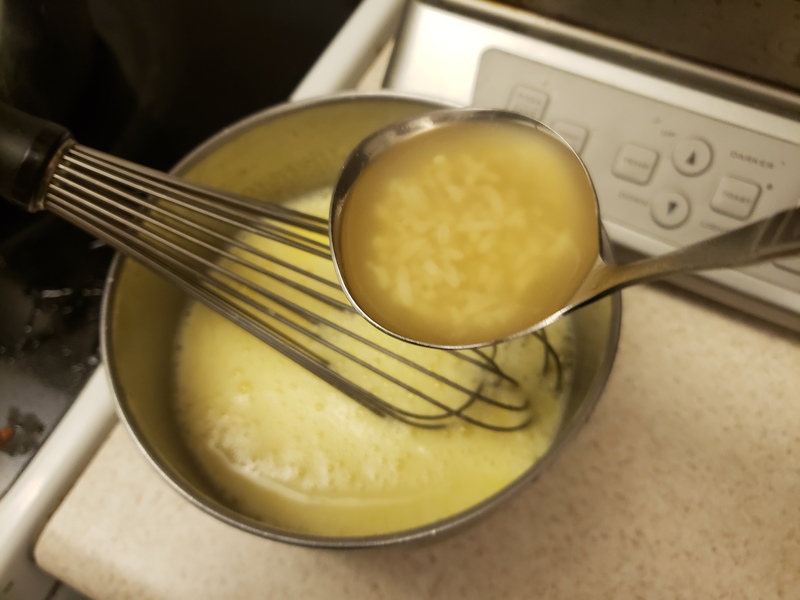 For Italian/Sicilian stracciatella, you beat eggs and parmesan cheese together and then whisk them into chicken broth with pastina, spinach, and meatballs. The Greek version of egg drop soup is a little bit different. Instead of pastina there is rice, the meatballs are replaced with chicken, and rather than beating the eggs with cheese, they are beaten together with lemon juice. The biggest difference however, is that in stracciatella the beaten eggs are poured directly into the soup and form what look like little rags. In avgolemono, the eggs are first tempered with a few ladles of the broth to create a smooth, creamy texture when the egg is added to the overall pot of soup. What’s truly awesome about this soup is how few ingredients you need to make it. At the end of the day, it’s just chicken, eggs, lemon, rice, and broth. Our method is what will make the magic. So let’s get to it! First, cook your chicken. 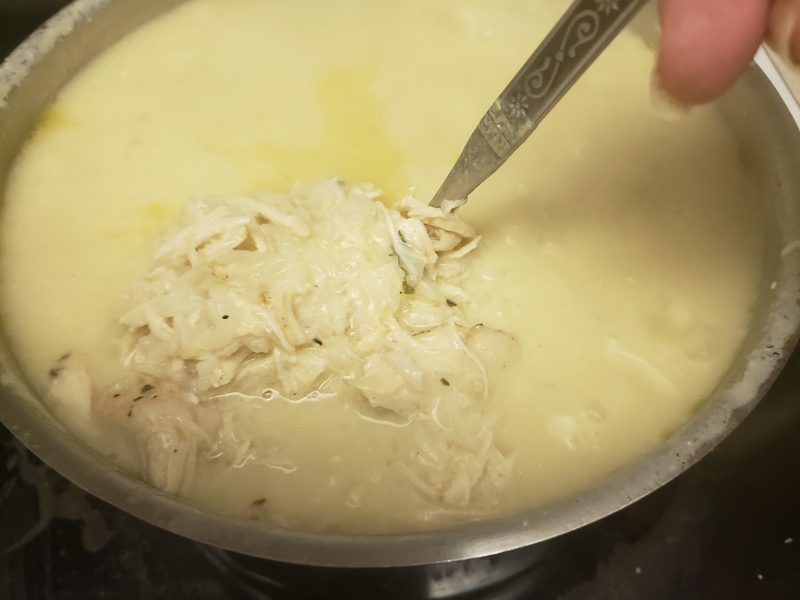 You can do this any number of ways, but since I like shredded chicken for this soup, I use my pressure cooker. 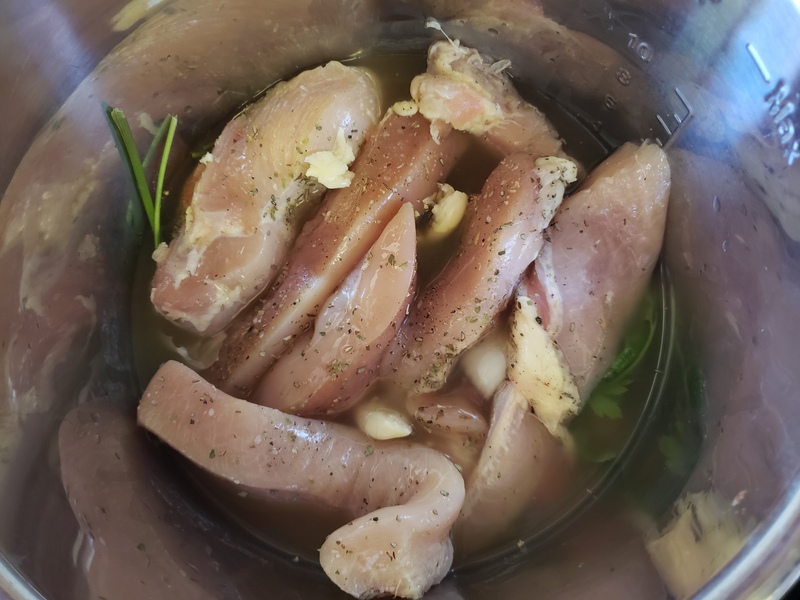 Season the chicken with salt, pepper, and oregano, and then put it in the pressure cooker with whatever odds and ends of vegetables you may have. I had some celery, carrots, parsley, onion pieces, and a few chicken wing tips. Add 2 cups of water, broth, or stock, and then seal the pot and cook at high pressure for 20 minutes. 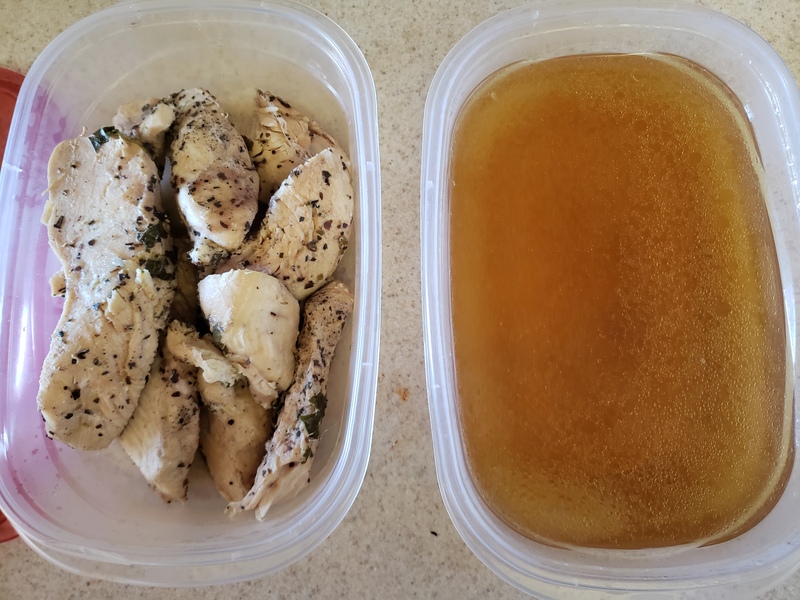 Release the pressure naturally or using a quick release function, remove and shred the chicken, and strain the liquid to use as part of the broth for your soup. Bring the broth/stock to a boil in a large pot and then add the rice. 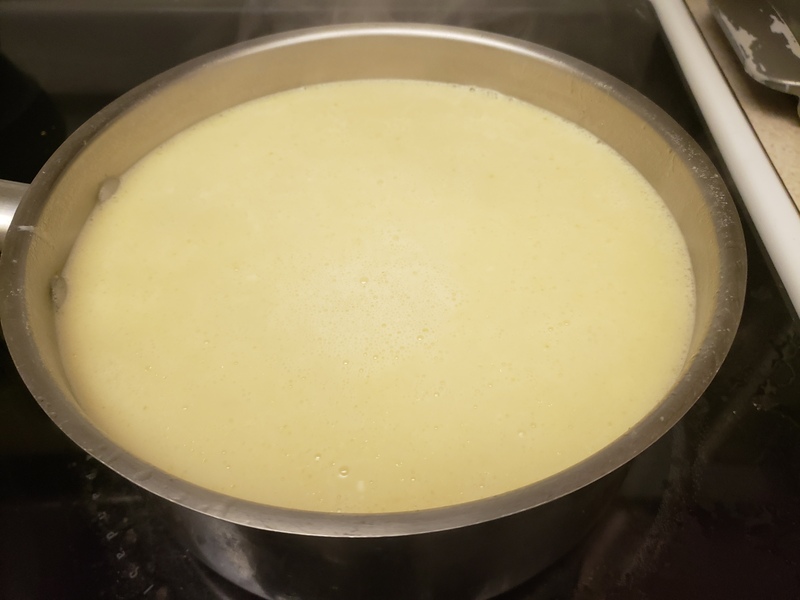 Beat the eggs and lemon juice together, and then whisk a ladle of broth into the egg mixture. Whisk 3 more ladles in, and then add the mixture to the pot of soup, along with the shredded chicken. Simmer 5-10 minutes and then season with salt and black pepper to taste. How easy is that? The chicken, rice, and eggs make this a surprisingly hearty soup alongside some warm bread. It’s creamy and savory, with just a slight tang from the lemon juice. Perfect for a winter day (or a fall day acting like winter, in my case). So as we move toward the colder months, maybe make a batch of this and pop a few containers in the freezer to have whenever you’re feeling the chill. Happy soup-sipping!